Between the Chevy Cruze vs. Hyundai Elantra, which sedan boasts the more impressive horsepower? Take a look under the hood, and you’ll see that the Hyundai Elantra has a 2.0L 4-cylinder engine. This powertrain produces a total of 147 hp and 132 lb-ft of torque. The Chevy Cruze, on the other hand, has a 1.4L turbocharged engine. 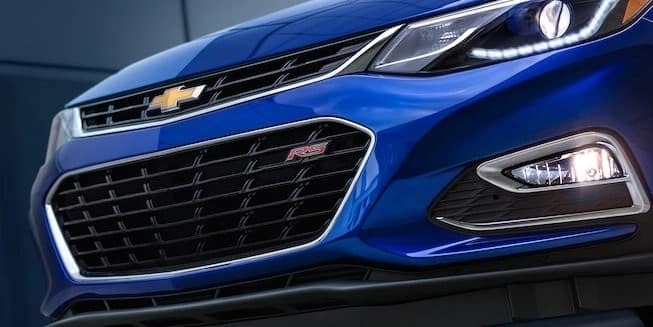 The Cruze squeaks out a little extra horsepower and a whole lot of extra torque. 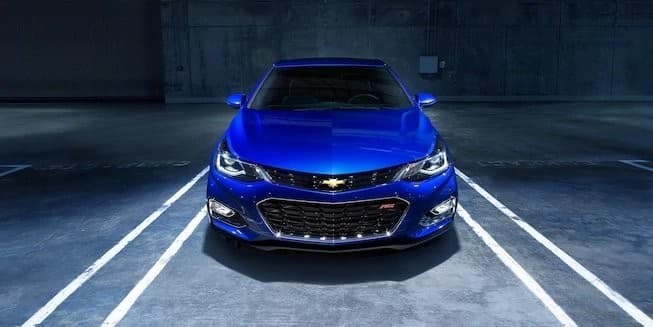 You can expect up to 153 hp and 177 lb-ft of torque from behind the wheel of your Cruze. How does this translate on the road? The Elantra accelerates from zero to 60 mph in 8.5 seconds, but the Cruze takes only 7.6 seconds to do the same! The Chevy Cruze offers high-quality engineering that was built to go the extra mile. Let’s look at the brakes. The Elantra has rear drum brakes, which are somewhat prone to overheating. The Cruze uses four-wheel disc brakes, a much more efficient option. The difference is clear when you take the two on the road. 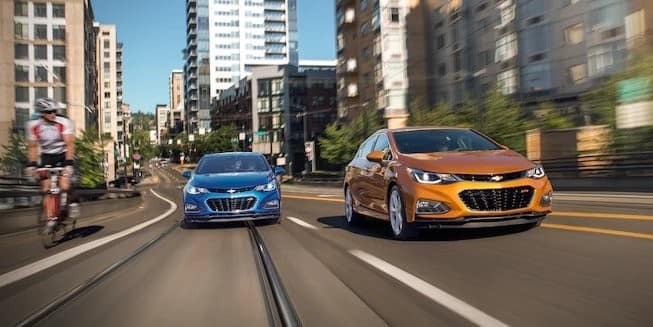 Motor Trend found that the Cruze stopped from 60 mpg in just 113 feet, while the Elantra took 130 feet to accomplish the same feat. Also, the Cruze offers a nine-speed automatic option in its higher trims. The Elantra only offers a 7-speed transmission. While researching your options, it’s important to look beyond sticker price. 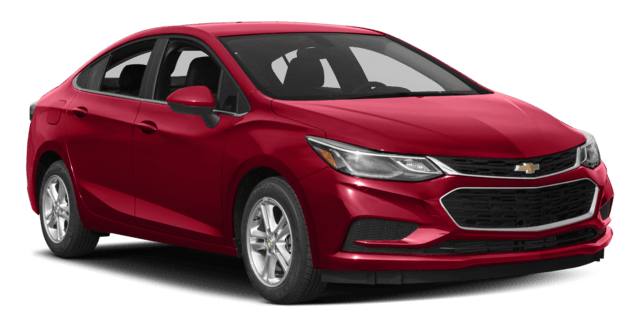 While both vehicles offer affordable price points that are sure to fit into any budget, the Chevy Cruze is the better budget pick for long term ownership. 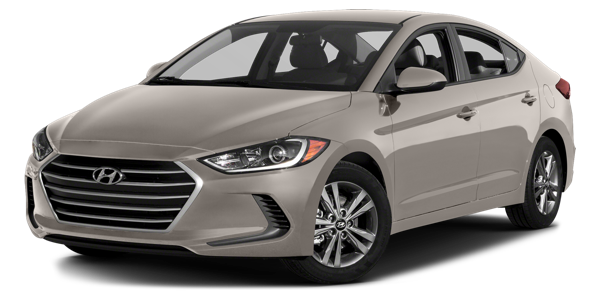 The Complete Car Cost Guide found that insurance costs range from around 200 to 1,200 dollars more for the Elantra over a five year period. Additionally, the Cruze is typically cheaper to maintain. The Car Book found that repairs are less expensive for the Cruze. For example, a starter costs 100 dollars more for the Elantra and a power steering pump is over 150 dollars more expensive! Which Sedan Takes the Cake? After reading about the Chevy Cruze vs. Hyundai Elantra, which sedan is the better option? We think it’s clear that the Cruze is the rightful winner. Between its powerful performance and terrific technology, this fantastic car has been a popular pick with drivers for good reason. Take a test drive at Sunrise Chevy today, or contact us with your questions!